Also referred to as a "Dutch" Gag or "Continental" Gag. Popular in showjumping and eventing. 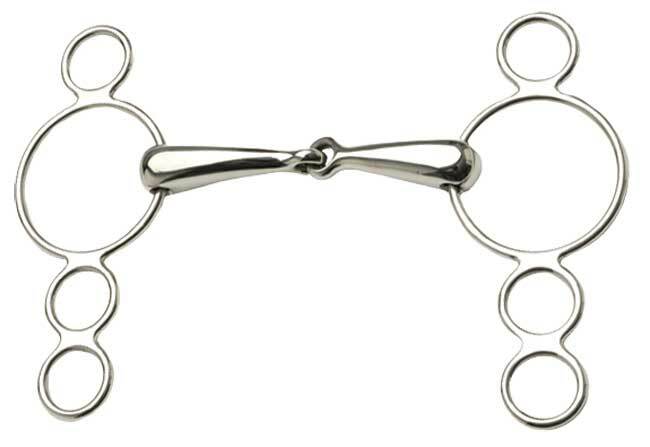 The rein can be attached to the large ring for an action similar to a snaffle. A curb rein can be attached to one of the bottom rings to introduce a gag action. The lower the curb rein is attached, the stronger the gag action will be.